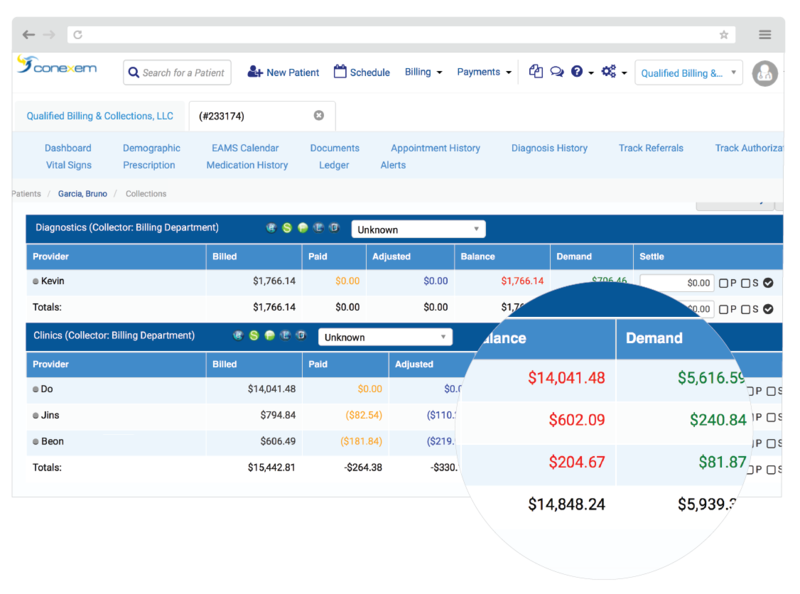 Designed as a single database, multiple organization format, Conexem is ideal for Medical Practices, Management Organizations, and Billing and Collection companies of any size. Conexem allows file sharing with other organizations for seamless information exchange. 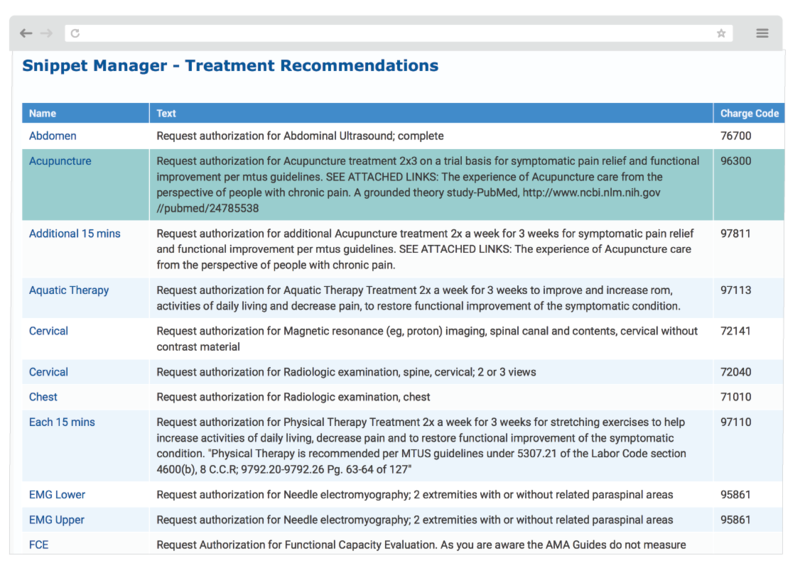 Documents are easily identified and located under chart tab headings based upon user preferences. 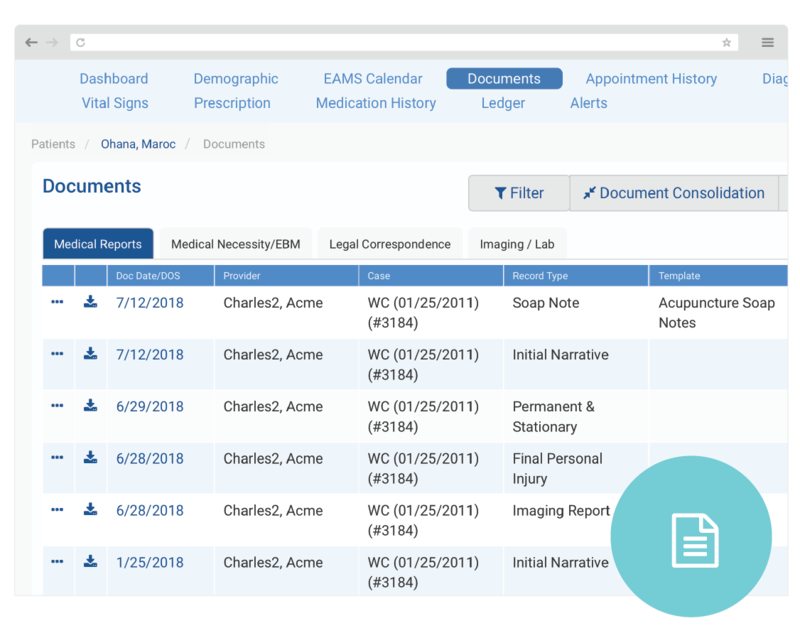 Easily view pertinent documents without having to look through the entire patient chart to locate a document. 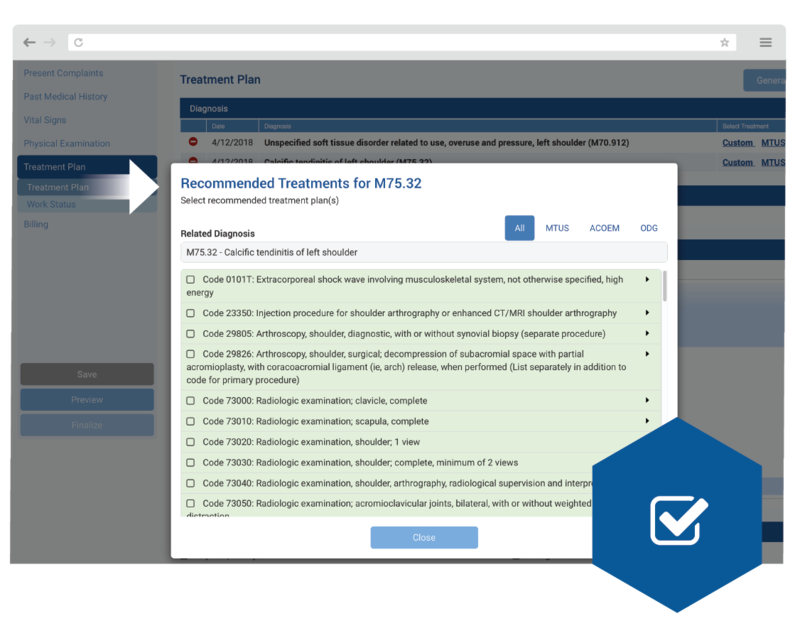 Designed for quick data entry, the clinical charting feature ties body parts, complaints, physical examination and diagnosis to MTUS Guideline links. These links provide the appropriate recommended procedures for the selected diagnosis codes to insure that the diagnosis and documentation is suitable to the request, resulting in higher approval rates. Simplified registration. Register once—add as many cases as necessary. 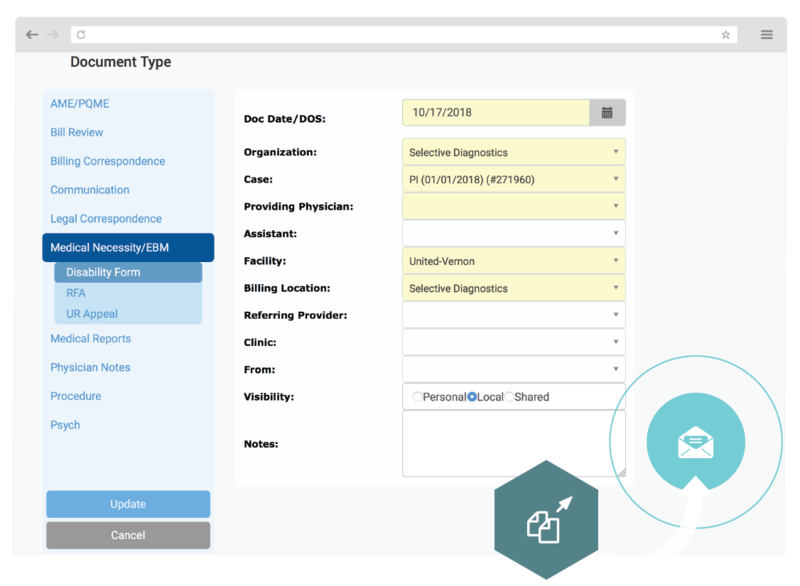 Capture all relevant data on one screen, including dates of injury, all parties associated with the claim, case and body part status. 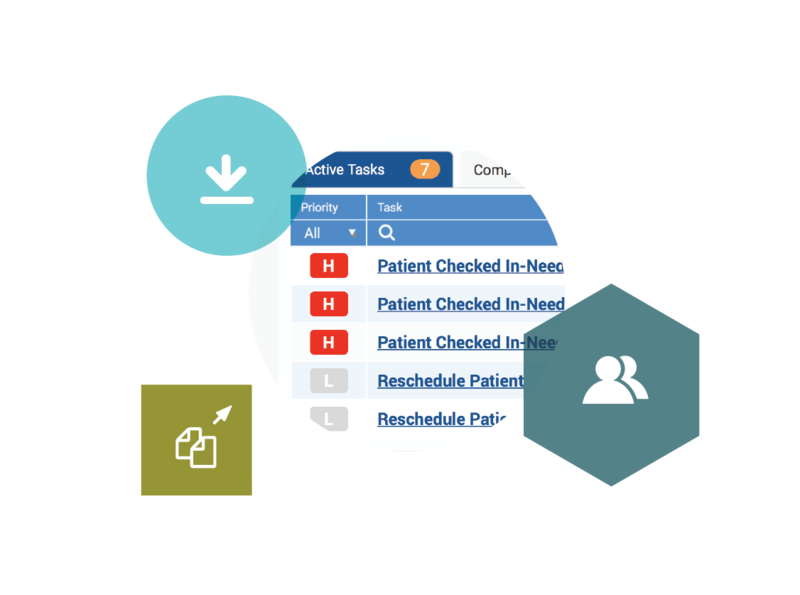 All updates are instantaneous providing for efficient, reliable patient data. Easily create document templates and letters to use over and over again. The system auto populates chosen fields to customize your documents. Save valuable time by using the snippet manager to import frequently used custom language into any document. 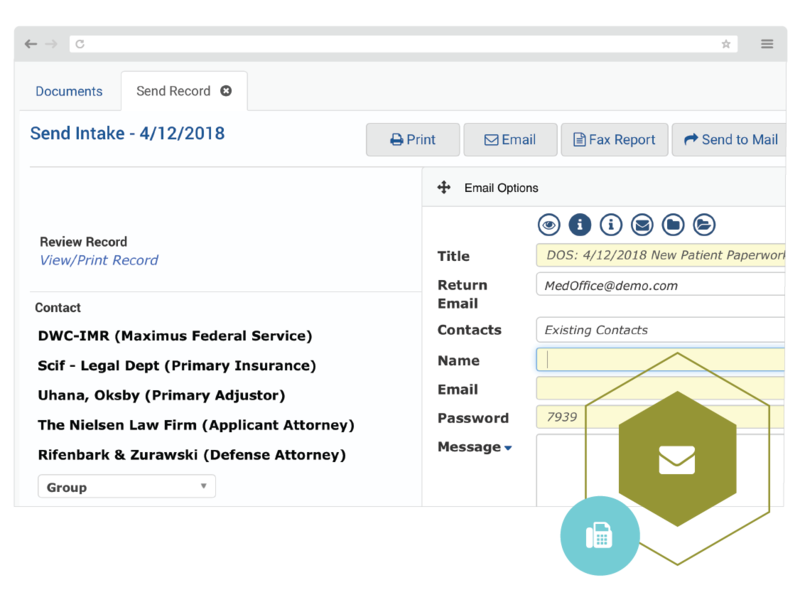 Easily view and manage all collection processes from one screen, including sending and receiving offers, settlement agreements, documents, submission of DOR’s and lien filing. Collectors never have to leave their desk. Hearing dates and other WCAB notifications are auto-populated into the patient file, eliminating the need for data entry. 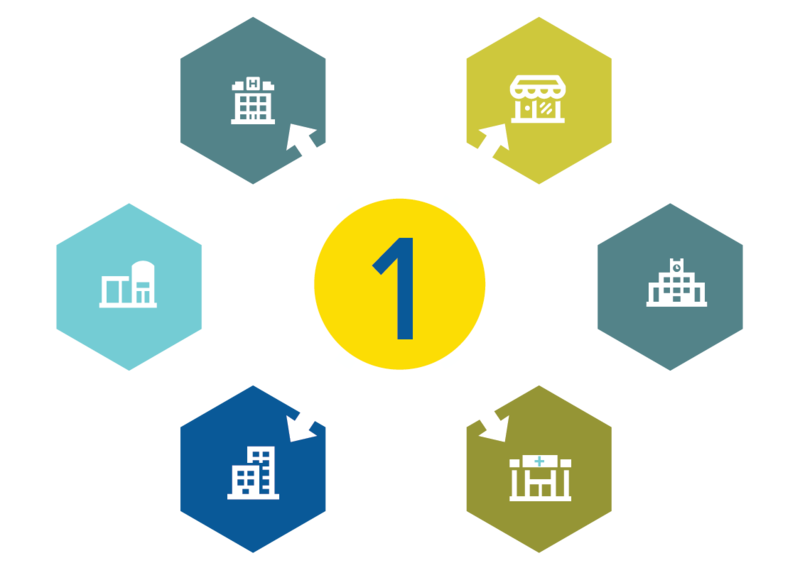 Custom workflows are designed around your business rules to maximize automation and efficiency. Customized tasking can be based on document uploads, data entry, or both. 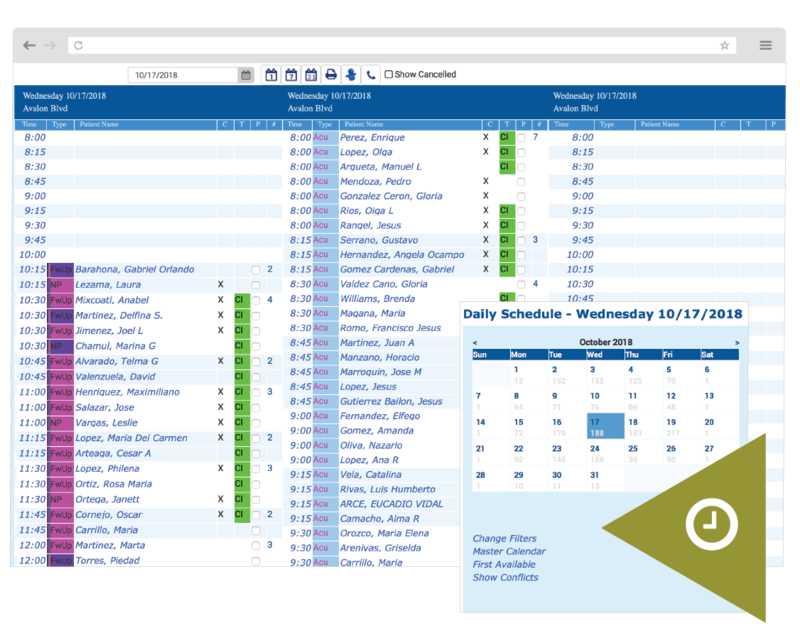 Uploaded documents can be tasked to individuals and/or groups of users, and Managers can view and manage individual, group or organization tasks. Receive and manage E-mail and Faxes directly from your home screen. Fax or E-mail out of Conexem with auto creation of Proof of Service and receive Fax confirmation with PDF of original faxed documents routed directly to the patient record. For urgent in-office communication, the instant messenger feature sends an immediate message to specified users. 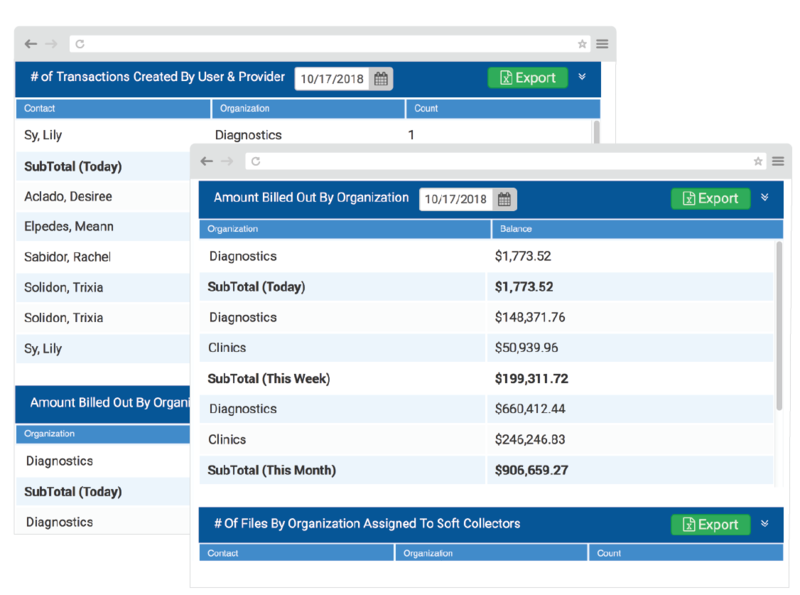 Conexem produces comprehensive industry standard and user defined custom reports to help you manage your organization. Managers can quickly spot trends and proactively take necessary corrective action if needed. Conexem provides managers with exceptional Management Dashboards to display real time performance metrics, manage critical timelines, and view up to the minute financial data. What is your Medical Practice Type?